In 2017, over 11 million people played in 520,000 acres of land that make up my backyard. Averaging out to around 22 people per acre, you may be wondering why so many would want to spend their time there. Well, you see, my backyard is the Great Smoky Mountains National Park. People come from all over the world come to play in Shaconage, as the Cherokee called it far before the first settlers arrived. The Land of Blue Smoke is filled with a feeling of mystery and home. It’s a phenomenal place that is absolutely captivating with every turn of the season. Its omnipresent tranquility and beauty, found in every corner of the park, pulled me in 5 years ago. 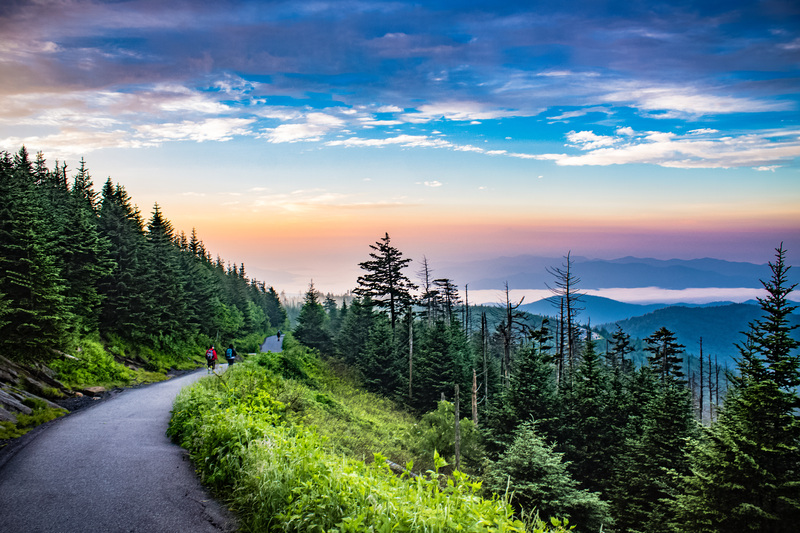 Clingman's Dome, one of Great Smoky Mountains National Park's many inspiring adventures. Kristi Parsons. Today, my world revolves around the Smoky Mountains. I work and play in the Smokies and in the areas that border the park’s boundaries. The spirit of the Smokies led me to make the changes in my life that would place me in the heart of Shaconage. Over time, the trails were no longer just a beautiful place to roam. They became my home: a spiritual connection to the mountains that I share with so many who came before. The first people were the Cherokee, whose presence in the region can be traced back more than a thousand years. Living in the river valleys of Shaconage, the seven clans of the Cherokee lived democratically, electing two chiefs to represent the clan during tribal meetings, one each for times of peace and war. Cherokee society was matriarchal; children took the clan of their mothers, and women had an equal voice in tribal matters. Their territory grew to encompass much of southwestern North America. By the 18th and early 19th centuries, European settlers began to arrive. As the tide of colonial settlers grew, conflicts arose. In 1830, President Andrew Jackson signed the Indian Removal Act and forced the Native Americans of the area, including the Cherokee, to go west to the Mississippi River and beyond. Not all of them complied. A warrior by the name of Tsali hid in the mountains with a band of followers. Their descendants now live in the Qualla Boundary just south of the park. Settlers and a hostile government forced others west. The move left few of the original residents in the mountains. In their place, communities of settlers grew in every corner. Farms and logging filled the landscape. Families planted roots in throughout the mountains and valleys of the Smoky Mountains and settled in their ways. When the National Park Service decided to create a park on the eastern side of the country, they chose the Smokies, and they were faced with an unfamiliar obstacle. To create Great Smoky Mountains National Park, citizens of the United States would be required to leave their property, homes, schools, businesses, and the life that they had known since settling there. Whereas the federal government forced the Native Americans to leave by a unilateral proclamation, encouraging newly settled families of the Smokies to leave was a far more political challenge. Funds had to be raised by the wealthy and other residents of Tennessee and North Carolina to be able to purchase each parcel of land. Landowners had no option to permanently stay, but they had to be paid for their properties. Some, due to the hard life and poverty of the mountains, went willingly. Others loved their mountain homes and way of life, and they refused to go until they were forced to leave. 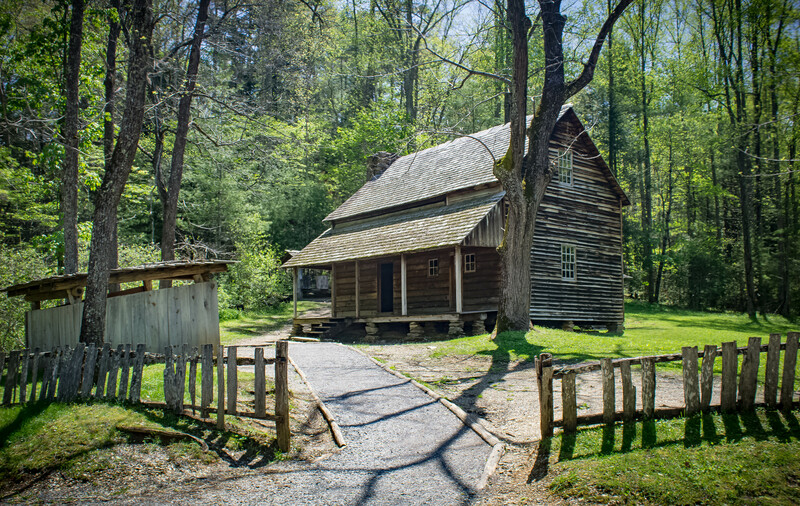 An original settler homestead in Great Smoky Mountains National Park. Kristi Parsons. Mike Maples, a very dear friend of mine and a well-known advocate of the Smokies, made it his life’s work to tell the stories of the past and preserve the location of old homesteads, cemeteries, and the slivers of yesteryear that remain. His family lived in the park before its creation. They were forced from their land. "My grandmother hated [Great Smoky Mountains National Park] till her last day on Earth," Maples said in National Geographic in August 2006. "But if it weren't for the park, what would all this be now? Nothing but condos and hotels, probably." He was absolutely correct. Mike Maples, known throughout the southern Appalachians as the "Smoky Mountain Jedi," passed away in March. However, his love for the history of the park and the mountains has left behind a legacy that will not soon be forgotten.